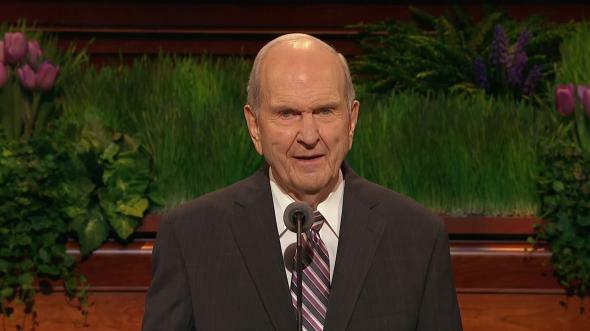 My beloved brethren and sisters, it is a joy to be able to meet with you again in another glorious general conference of the Church—to feel of your spirit and support and to know of your love of the Lord. 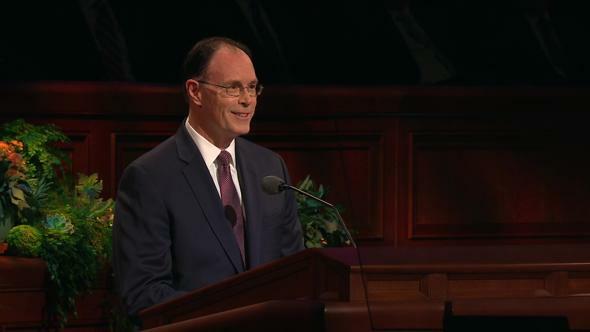 I look forward to hearing the inspiring messages of the General Authorities of the Church. 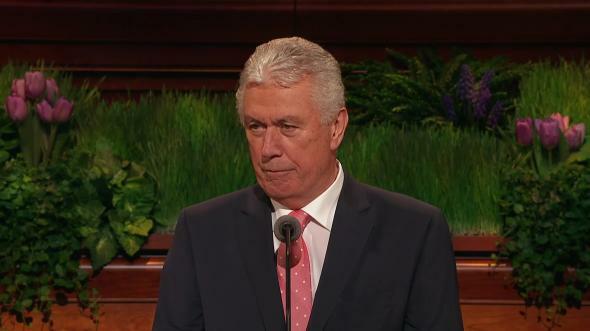 I am so grateful for their sustaining power and in particular for the great help of my noble Counselors and the Quorum of the Twelve. May I express to them and to all of you my deep appreciation for your kind remembrances to me on my recent ninetieth birthday. 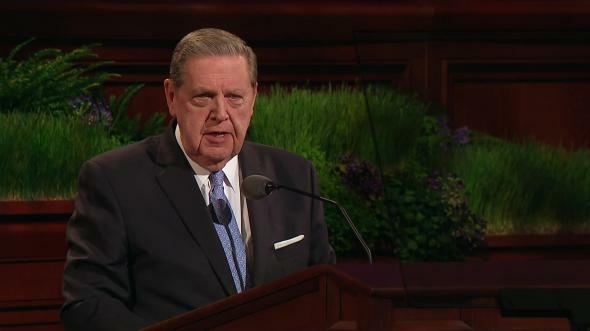 In the past I have directed my remarks to the children of the Church, to the young men and young women, to the single adult brethren and sisters, and to the mothers and fathers in Israel. This morning I would like to speak to the elderly in the Church and to their families and to those who minister to their needs. I hold special feelings for the elderly—for this marvelous group of men and women. I feel that in some measure I understand them, for I am one of them. The Lord knows and loves the elderly among His people. It has always been so, and upon them He has bestowed many of His greatest responsibilities. 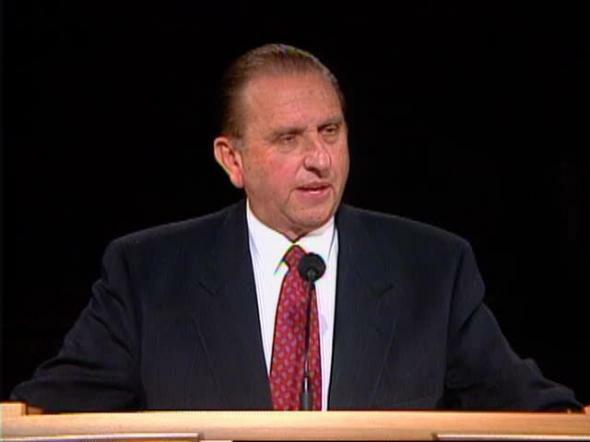 In various dispensations He has guided His people through prophets who were in their advancing years. He has needed the wisdom and experience of age, the inspired direction from those with long years of proven faithfulness to His gospel. The Lord blessed Sarah, in her old age, to bear Abraham a child. Perhaps King Benjamin’s greatest sermon was given when he was very elderly and nigh unto death. 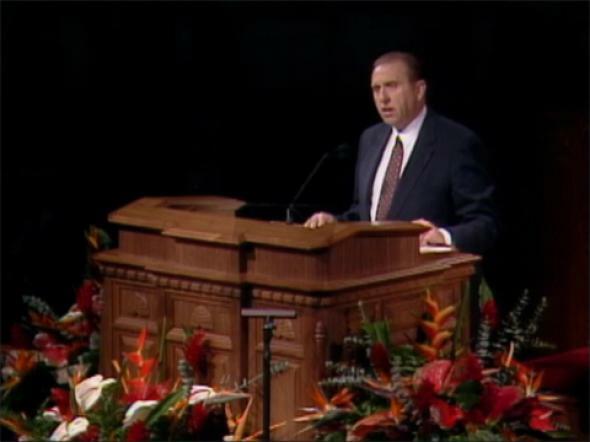 He was truly an instrument in the hands of the Lord as he was able to lead and establish peace among his people. 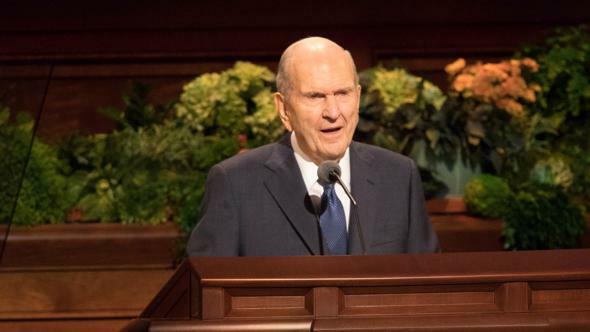 Many other men and women throughout the ages have accomplished great things as they went forth to serve the Lord and His children, even in their elderly years. 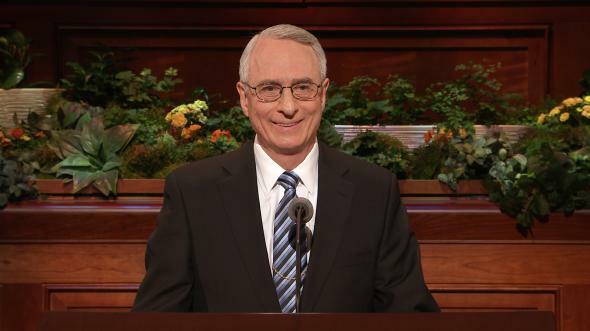 In our dispensation, of the thirteen prophets who have been called of the Lord, many were called when they were in their seventies or eighties, or even older. How the Lord knows and loves His children who have given so much through their years of experience! We love you who are the elderly in the Church. You are the fastest-growing segment of our population in the world today, as well as within the Church. Our desires are that your golden years will be wonderful and rewarding. We pray that you will feel the joy of a life well-spent and one filled with fond memories and even greater expectations through Christ’s atonement. 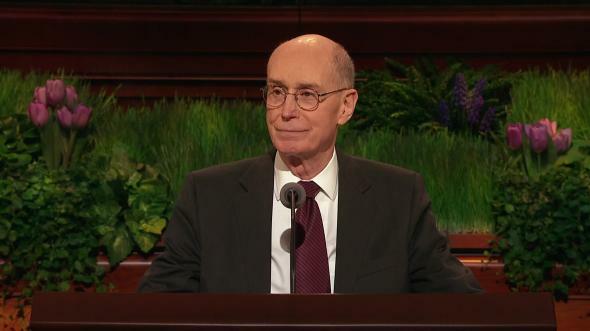 We hope you will feel of the peace the Lord promised those who continue to strive to keep His commandments and follow His example. We hope your days are filled with things to do and ways in which you can render service to others who are not as fortunate as you. Older almost always means better, for your wealth of wisdom and experience can continue to expand and increase as you reach out to others. 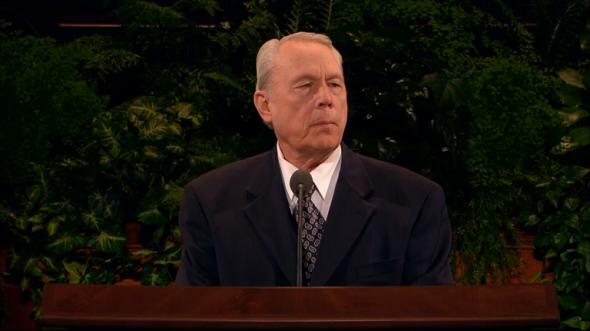 Work in the temple and attend often. 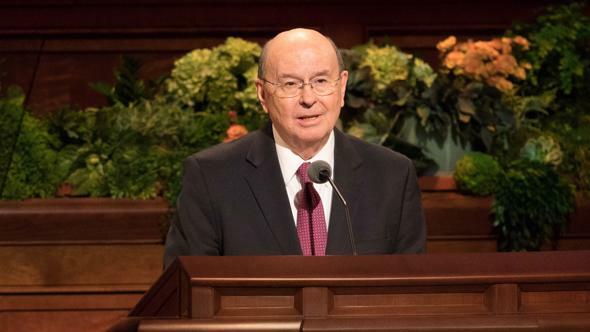 We who are older should use our energies not only to bless our predecessors, but to ensure that, insofar as possible, all of our posterity might receive the ordinances of exaltation in the temple. Work with your families; counsel with and pray for those who may yet be unwilling to prepare themselves. 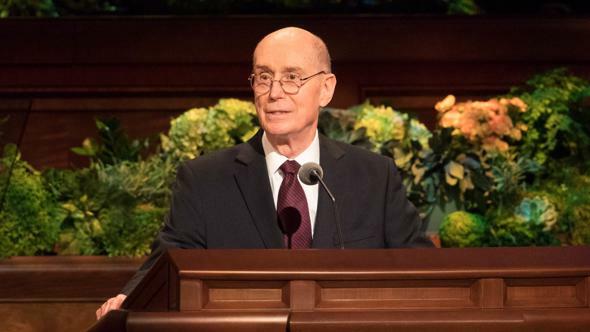 We urge all who can to attend the temple frequently and accept calls to serve in the temple when health and strength and distance will permit. We rely on you to help in temple service. With the increasing number of temples, we need more of our members to prepare themselves for this sweet service. Sister Benson and I are grateful that almost every week we can attend the temple together. What a blessing this has been in our lives! Collect and write family histories. We call on you to pursue vigorously the gathering and writing of personal and family histories. In so many instances, you alone have within you the history, the memory of loved ones, the dates and events. In some situations you are the family history. In few ways will your heritage be better preserved than by your collecting and writing your histories. Become involved in missionary service. We need increasing numbers of senior missionaries in missionary service. Where health and means make it possible, we call upon hundreds more of our couples to set their lives and affairs in order and to go on missions. How we need you in the mission field! You are able to perform missionary service in ways that our younger missionaries cannot. I’m grateful that two of my own widowed sisters were able to serve as missionary companions together in England. They were sixty-eight and seventy-three years of age when they were called, and they both had a marvelous experience. What an example and a blessing it is to a family’s posterity when grandparents serve missions. Most senior couples who go are strengthened and revitalized by missionary service. Through this holy avenue of service, many are sanctified and feel the joy of bringing others to the knowledge of the fulness of the gospel of Jesus Christ. Also, through the Family-to-Family Book of Mormon Program, send copies of the Book of Mormon on missions for you with your testimonies enclosed. Provide leadership by building family togetherness. We urge all senior members, when possible, to call their families together. Organize them into cohesive units. Give leadership to family gatherings. Establish family reunions where fellowship and family heritage can be felt and learned. Some of the sweetest memories I have are of our own family reunions and gatherings. Foster wonderful family traditions which will bind you together eternally. In doing so, we can create a bit of heaven right here on earth within individual families. After all, eternity will be but an extension of righteous family life. Accept and fulfill Church callings. 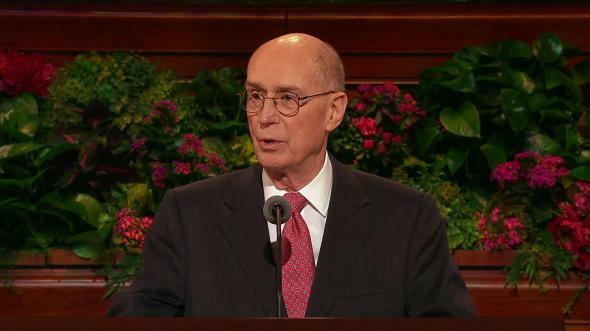 We trust that all senior members who possibly can will accept callings in the Church and fulfill them with dignity. I am grateful to personally know brethren who are in their seventies and eighties who are serving as bishops and branch presidents. How we need the counsel and influence of you who have walked the pathway of life! We all need to hear of your successes and how you have risen above heartache, pain, or disappointment, having become stronger for experiencing them. There are rich opportunities for you to serve in most of the organizations of the Church. You have the time and solid gospel foundation which enable you to render a great work. In so many ways you lead out in faithful service in the Church. We thank you for all that you have done and pray that the Lord will strengthen you to do more. Plan for your financial future. As you move through life toward retirement and the decades which follow, we invite all of our senior members to plan frugally for the years following full-time employment. Let us avoid unnecessary debt. We also advise caution in cosigning financial notes, even with family members, when retirement income might be jeopardized. Be even more cautious in advancing years about “get-rich” schemes, mortgaging homes, or investing in uncertain ventures. Proceed cautiously so that the planning of a lifetime is not disrupted by one or a series of poor financial decisions. Plan your financial future early; then follow the plan. Render Christlike service. Christlike service exalts. Knowing this, we call upon all senior members who are able to thrust in their sickles in service to others. This can be part of the sanctifying process. The Lord has promised that those who lose their lives serving others will find themselves. The Prophet Joseph Smith told us that we should “wear out our lives” in bringing to pass the Lord’s purposes (D&C 123:13). Peace and joy and blessings will follow those who render service to others. Yes, we commend Christlike service to all, but it is especially sweet in the lives of the elderly. Stay physically fit, healthy, and active. We are thrilled with the efforts being made by so many of the elderly to ensure good health in advancing years. We see many walking in the early mornings. We hear of others who use exercise equipment in their own homes. Some even enter marathons and do remarkably well. Still others have swimming programs to keep them fit. Until recently our own beloved General Authority emeritus, Joseph Anderson, now in his one hundredth year, would swim a mile every day. I am not quite up to that, but I do enjoy a vigorous walk each day, which refreshes me. How we love to see our elderly remain vigorous and active! Through keeping active, both the mind and the body function better. One stake president reported that one of his members went waterskiing on his eightieth birthday. To those who have lost your spouses, we should also like to express our love. Sometimes there is for some of you a feeling of uselessness and aloneness which can be almost overwhelming. In so many instances, this need not be so. In addition to the eight suggestions just mentioned, here is a sampling of activities that have proved helpful to others. We see numerous others of our widows who volunteer as “pink ladies” at the hospitals or render other kinds of community service. So many find fulfillment helping in these ways. The key to overcoming aloneness and a feeling of uselessness for one who is physically able is to step outside yourself by helping others who are truly needy. We promise those who will render this kind of service that, in some measure, you will be healed of the loss of loved ones or the dread of being alone. The way to feel better about your own situation is to improve someone else’s circumstances. To those who are ill and suffering pain and the vicissitudes of this life, we extend particular love and concern. Our hearts and prayers go out to you. Remember what father Lehi said in blessing his son Jacob, who had suffered at the hands of his older brothers Laman and Lemuel. He said, “Thou knowest the greatness of God; and he shall consecrate thine afflictions for thy gain.” (2 Ne. 2:2.) And so he will for you. We pray that you will continue to strive to remain strong in attitude and spirit. We know it is not always easy. We pray that those who now do for you tasks that you no longer are able to do for yourself will do so in love, in gentleness, and with a caring spirit. You will find that the daily reading of the Book of Mormon will lift your spirit, draw you nearer to your Savior, and help you to be a student of the gospel who can share great truths with others. We encourage families to give their elderly parents and grandparents the love, care, and attention they deserve. Let us remember the scriptural command that we must care for those of our own house lest we be found “worse than an infidel.” (1 Tim. 5:8.) I am so grateful for my own dear family and for the loving care they have given their parents over so many years. Remember, parents and grandparents are our responsibility, and we are to care for them to the very best of our ability. 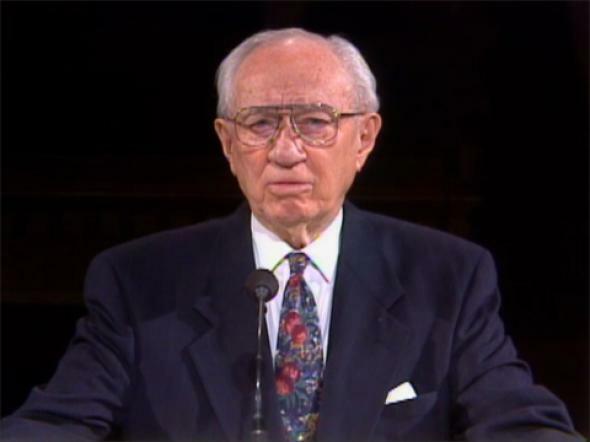 When the elderly have no families to care for them, priesthood and Relief Society leaders should make every effort to meet their needs in the same loving way. We submit a few suggestions to families of the elderly. To honor and respect our parents means that we have a high regard for them. We love and appreciate them and are concerned about their happiness and well-being. We treat them with courtesy and thoughtful consideration. We seek to understand their point of view. Certainly obedience to parents’ righteous desires and wishes is a part of honoring. Furthermore, our parents deserve our honor and respect for giving us life itself. Beyond this they almost always made countless sacrifices as they cared for and nurtured us through our infancy and childhood, provided us with the necessities of life, and nursed us through physical illnesses and the emotional stresses of growing up. In many instances, they provided us with the opportunity to receive an education, and, in a measure, they educated us. Much of what we know and do we learned from their example. May we ever be grateful to them and show that gratitude. Let us also learn to be forgiving of our parents, who, perhaps having made mistakes as they reared us, almost always did the best they knew how. May we ever forgive them as we would likewise wish to be forgiven by our own children for mistakes we make. Even when parents become elderly, we ought to honor them by allowing them freedom of choice and the opportunity for independence as long as possible. Let us not take away from them choices which they can still make. Some parents are able to live and care for themselves well into their advancing years and would prefer to do so. When they can, let them. If they become less able to live independently, then family, Church, and community resources may be needed to help them. When the elderly become unable to care for themselves, even with supplemental aid, care can be provided in the home of a family member when possible. Church and community resources may also be needed in this situation. The role of the care-giver is vital. There is great need for support and help to be given to such a person. Usually this is an elderly spouse or a middle-aged daughter with children of her own to care for as well as caring for the elderly parent. We also hope that you would include the elderly in family activities when possible. What a joy it is for us to see lively, sweet grandchildren with a loving grandparent in the midst of them. Children love such occasions. They love to have their grandparents visit them and to have them over for dinner, for family home evenings, and on other special events. This provides opportunities for teaching ways to honor, love, respect, and care for those who are in their later years. Grandparents can have a profound influence on their grandchildren. Their time is generally not as encumbered and busy as the parents’, so books can be opened and read, stories can be told, and application of gospel principles taught. Children then obtain a perspective of life which not only is rewarding but can bring them security, peace, and strength. It is possible to send letters, tapes, and pictures, particularly where distances are great and it is not possible to see one another often. Those who are blessed with a closeness to grandparents and other elderly people have a rich companionship and association. There might be times when they can attend graduations, weddings, temple excursions, missionary farewells and homecomings, and other special events with family members. We enjoy watching our children and grandchildren grow and achieve in special ways, as we share in many of their joys and rejoice in their victories. Happiness blesses our lives as our children strive and achieve in their own lives. In 3 Jn. 1:4 we read, “I have no greater joy than to hear that my children walk in truth.” And knowing this can bring a renewal of love and courage to continue in our own struggles. 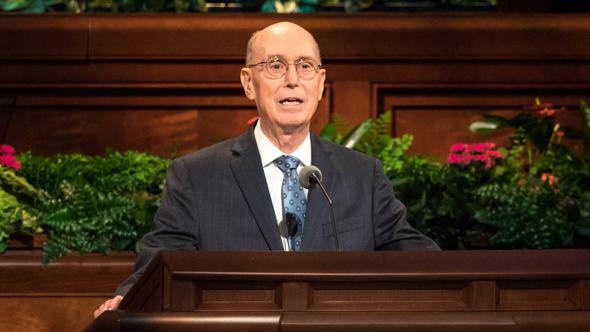 Finally, we would urge priesthood leaders of the elderly to be sensitive to the Spirit of our Father in Heaven in assessing and meeting the spiritual, physical, emotional, and financial needs of the elderly. 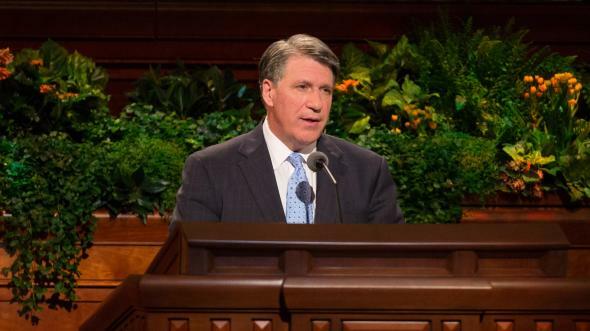 We trust you will utilize your counselors, Melchizedek Priesthood quorum leaders, and Relief Society leaders, home teachers, and visiting teachers in this great responsibility, for we must fulfill these duties without reluctance or hesitation. 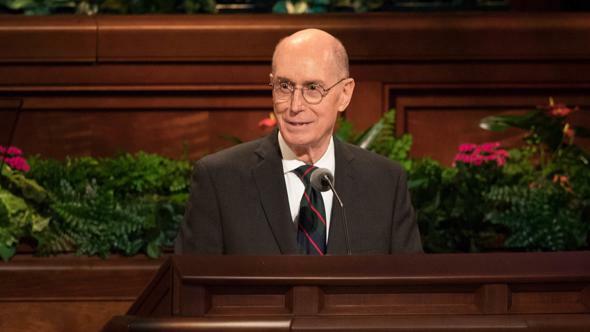 We hope that priesthood and auxiliary leaders will continue to give the elderly callings in which they can use their reservoirs of wisdom and counsel. We hope, where possible, that each can be a home teacher or visiting teacher. Even those who are somewhat confined to their beds and homes can sometimes assist in this watch-care through telephone calls, writing notes, or other special assignments. 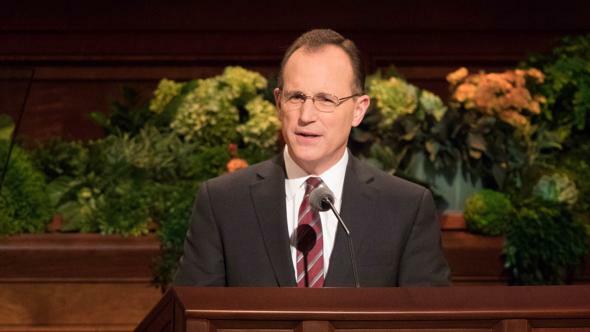 A priesthood leader can do much to assist and encourage individuals and couples as they prepare to serve missions. 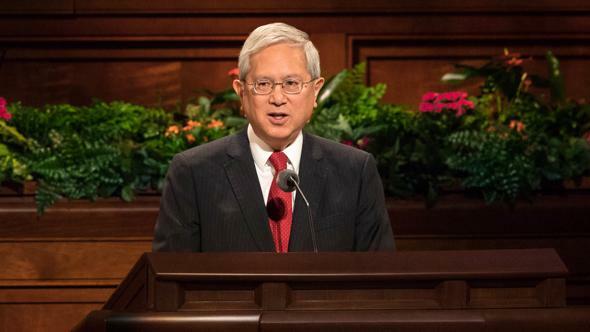 The temple extraction and welfare programs are blessed greatly by those who are in their senior years and have opportunities to serve in this area. We hope each of the elderly individuals and couples has sensitive and caring home teachers and visiting teachers assigned to them. Great comfort and peace can come to those who know they have someone to whom they can turn in time of emergency or need. It is important that tact, diplomacy, and sincerity be evident in assessing and addressing such needs. We hope you will involve the independent elderly in compassionate service assignments. Include them also in stake and ward social activities, especially single members and those with dependent spouses. So many times they are forgotten. Especially at the time of the death of a spouse, loving care can be given. This is a very tender time for most. At times temporary relief is very much needed and appreciated by family members who provide constant physical and emotional care to those with special needs. It is important to help the family maintain its functions as a family with periodic freedom from the heavy responsibilities that long-term or terminal illness can impose. All need loving support and relief from the overwhelming duties of serious illness or problems. Transportation is often a great concern to the elderly. We can assist by providing a way for them to attend their Sunday meetings, visit loved ones, shop, and go to the doctor or clinic. Again, we should prayerfully seek inspiration and direction in caring for the elderly. There is always a great diversity of individuals and individual needs. God bless the elderly in the Church. I love you with all my heart. I am one of you. You have so much to live for. May these golden years be your very best years as you fully live and love and serve. And God bless those who minister to your needs—your family, your friends, and your fellow Church members and leaders. I leave my blessing upon you. The Savior lives. This is His church. The work is true, and in the words of our Lord and Savior, “Look unto me, and endure to the end, and ye shall live; for unto him that endureth to the end will I give eternal life” (3 Ne. 15:9), to which I testify in the name of Jesus Christ, amen.